“Olympia Provisions,’ American Charcuterie Quality Meats Since 2009 Portland, Oregon 97214” Whew. I know. It’s got sort of a long title. It’s also got a grey cover requiring a lot of photographs just to get a decent color depth photo of the book. But lest we not judge a book by its cover, for this book caused my mouth to water to the tune of inspiring me preparation of an old longtime favorite, Country Pate, and hence in some version may do the same for you as well. 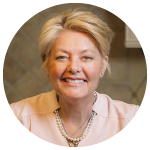 It has admittedly been a few years since pulling out my long, heavy enameled, creamy white colored terrine/pate dish that sits in the corner of the second shelf in my pantry. I was so excited to marinate dried apricots in some brandy and eagerly pick greened pistachios from their hard outer shells, little details in re-creating flavor memories, in this case for me, a trip to Quebec some years back having enjoyed some sort of varied yet similar pate at most every meal at every restaurant visited over the course of a little longer than a long weekend. In some ways the series of events coordinating my Country Pate tied to this Post could definitely be compared to even further enhancing a greater respect on the hard work and diligence required in the preparation of any Charcuterie. It also reminded me that I also need to purchase a darn meat grinder attachment rather than traveling the city of Philadelphia for having my specified meats readily ground. But that wasn’t the only challenge surrounding both the pate and writing today’s book review, it was also my insistence on finding caul fat rather than just purchasing some thinly sliced pork fat back so readily available at the local international market, or even just bacon, both of which would have well suited as the lining to the assorted ingredients to be used as my lead photograph for the Post. Imagine my initial delight after a dozen phone calls to having finally identified where to purchase the caul fat provision, later presented to me all wrapped up from a butcher shop at the 9th Street Market, until later my horror upon opening the package to some very thick piece of very thick fat, pork, I think. 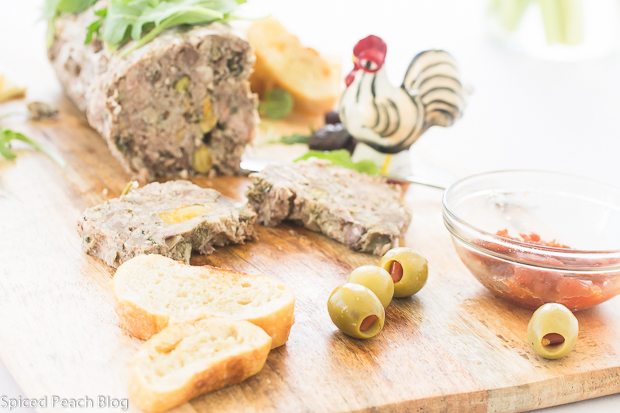 It definitely was not caul fat in any event, and there it went on and on in my brilliant idea of preparing a Country Pate as the feature photo. Ultimately providing the true delight in sharing this book, besides garnered appreciation in the preparation of Charcuterie is something like, well, something like finally sitting down to that lovely country pate, the charcuterie tray, savoring each and every bite from the very beginning to end. I’ll just call it ‘Olympia Provisions’ for now, a cookbook oh so easy to get drawn into with its sometimes humorous, always engaging, and meaningful story line, really, even if you don’t happen to be into actually preparing Charcuterie. Part of the richness of the memoir- like story of Olympia Provisions takes the reader on a journey of an individual, Elias Cairo, whose life was influenced by many interesting places, people, and experiences, including his sister and traditional first generation Greek family, later among friends and fellow colleagues, particularly after landing a coveted internship working for four years in Wildhaus Switzerland. The chapters pages visualize taking in the magnificence of beauty of this place, (including skiing to and from work and braving hills to neighboring inns and restaurants with colleagues on days off) while learning and appreciating the essence of very good food prepared well, later on realizing an inspired trade beyond his dreams eventually setting up shop in Portland, Oregon. If you want to become a Charcuterie Artisan well guess what? 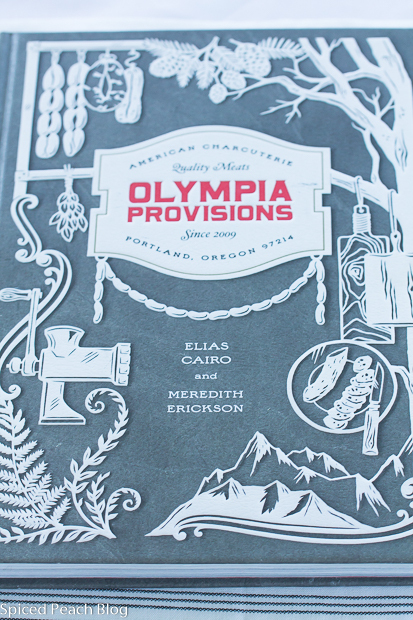 Olympia Provisions provides lots of recipes for one to get started. Read on, and you begin to get something much deeper, there is a lot more to learn, much, much, more. Got a lot of years of serious hard work you are willing to dedicate not to one technique of instruction, but rather mastery in its truest form? These Old World values provide the backdrop along the thread for Cairo and his attainment of high level craftsmanship, including personal discipline and little room for ego, thus eventually inspiring Elias Cairo to his highly respected trade-craft calling, Charcuterie. Ultimately establishing Olympia Provisions with great success and accomplished achievement, Cairo continues on his aim in perseverance, batch by batch, these daily preparations delivered in the creation of his own version of inspired American Charcuterie. Today the Charcuterie Provisions of Olympia out of Portland Oregon, including its restaurants, has systematically grown to include orders for these specialty crafted Charcuterie Provisions being nationally available online. Authored by co-owner Elias Cairo, and writer, Meredith Erickson, Olympia Provisions is filled with those specialty Charcuterie meat techniques that seem generally geared at the level of very experienced to intelligent avid enthusiast, one who can safely follow the procedures, techniques, and specialty ingredients required in this type of production, and too, perhaps one with a willingness to dive in to the beginning of a technique requiring much hard work before mastery. Besides the captivating story line, for those of us others content in the home kitchen to the simple basics of rillettes and pates, leaving other complex specialties to the masters, this book also contains a good selection of alternative recipes served at the Olympia restaurants such as Schmalz Potatoes, Roasted Halibut, Ham and Mussel Salad, and Steamed Manila Clams with Chorizo (no need to prepare the chorizo yourself.) All part of a being a well-crafted and delicious choice, ‘Olympia Provisions,’ American Charcuterie Quality Meats Since 2009 Portland, Oregon 97214. I received this book from Blogging for Books, all opinions contained within this post are my own. 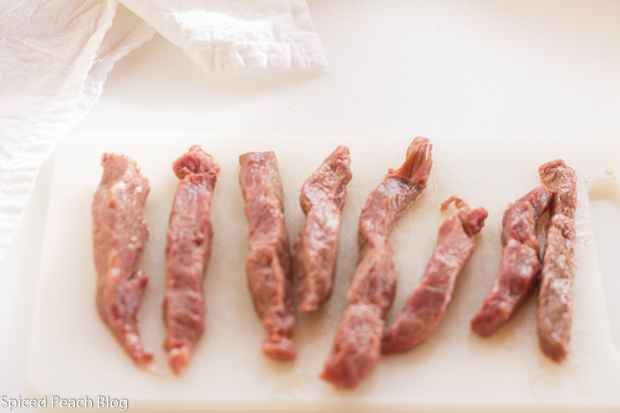 6-8 thin strips of pork loin, rabbit, or chicken livers (optional) Chicken livers need the sinew removed before cutting into halves or strips. Preheat oven to 350 degrees. 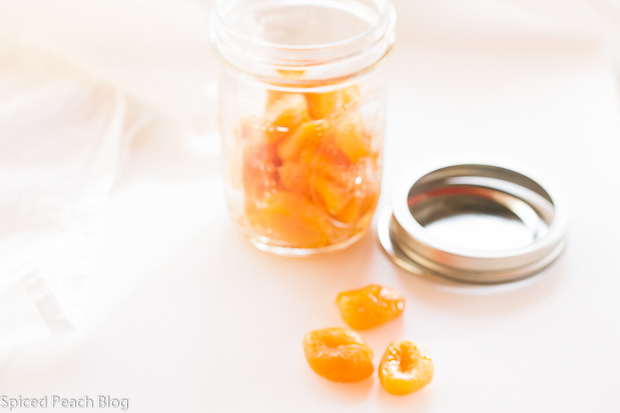 In a small bowl pour the brandy over the apricots to soften a bit. 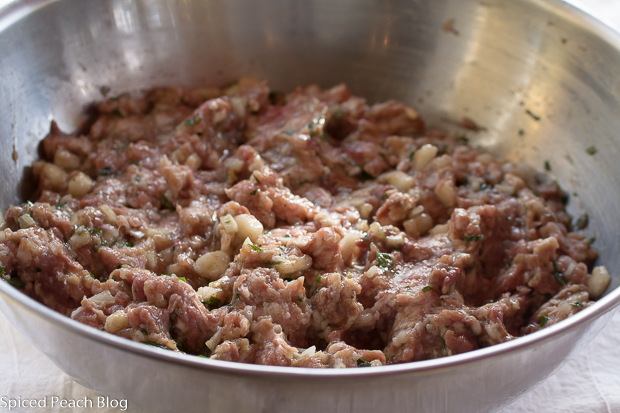 In a large sized bowl mix together the ground pork, veal, and pork fat. Add in the beaten eggs, parsley, thyme, shallots, garlic, salt, pepper and allspice. Using your hands as if preparing a meatloaf blend the ingredients squishing it all together well. Line your terrine dish with the caul fat, pork fat back, or bacon bringing up the sides to cover the top of the pate once filled. Remove the apricots from the brandy and pour into the meat, again blending well throughout. 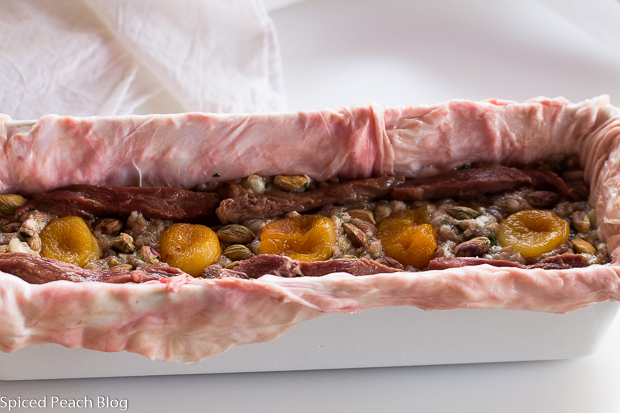 Place half of the meat mixture on top of the lining at the bottom of the terrine dish press evenly across. 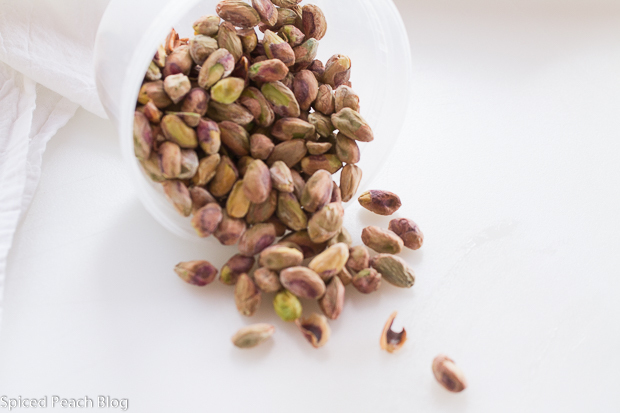 Decoratively arrange the apricots, pistachios, and meat strips or chicken livers (if using.) Top with the remaining meat mixture spreading evenly across. 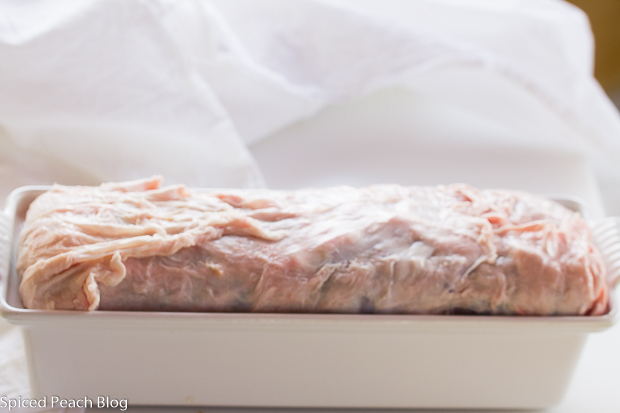 Fold over the caul fat or bacon lining covering the top of the pate then cover tightly with aluminum foil finishing topping with the terrine lid. Place Country Pate into a baking dish large enough to fit the terrine mold then pour boiling water halfway up the sides, place into the oven. Cook terrine 2 hours, remove from the water, place onto a baking sheet, let warm for thirty minutes before chilling in the refrigerator, the top weighted down with cans or a brick for at least twenty four hours before unmolding pate from terrine for slicing and serving alongside crusty bread or crackers and any other desired accompaniments. This entry was posted in Appetizers, Cookbooks and tagged Olympia Cookbook, Olympia Provisions American Charcuterie Quality Meats Since 2009 Portland Oregon 97214, Olympia Provisions Cookbook, Olympia Provisions Cookbook Review. Bookmark the permalink. Post a comment or leave a trackback: Trackback URL. 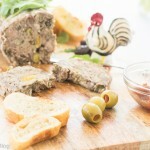 Now you know I won’t be making pate Peg, but yours looks very nice. I did enjoy your story which was a good read. See you soon. We ate pate in Paris, but it’s not something I like. My Nana had a meat grinder, which I remember her using, mostly, to make hash. Thanks for the link, though, Peggy. Maybe I can find a unique gift for Antonio or my dad. Hi Kelly, thanks much. Pate, so European in its nature is not for everyone and it doesn’t always look so pretty, but I do love it on bread, and some extras as part of a Banh Mi sandwich. Besides the cookbook Olympia does have a nice selection of meats one can order online which indeed does make it nice for unique gifts.